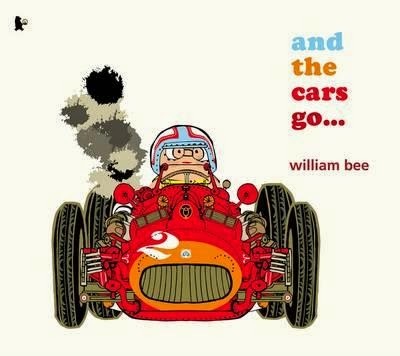 I simply adore William Bee books--their vibrant illustrations and quickly storylines have that glorious ability to please picture book lovers from 0 - 101. A police man is off on patrol when he comes across a mega traffic jam featuring all manner of puttering, sputtering, roaring and vrooming vehicles. There's the family in the station wagon, tightly packed for holidays. There's the school bus with a rowdy group of shenanigan boys. There's the race car driver whose car is seriously in danger of over-heating. And, of course, there's the Duke and Duchess in their whispering Rolls Royce, out for a drive in their royal finery. What's the hold up? People have places to go, things to do, races to run! Can the police man clear the jam? This is a fun, clever and gorgeously-illustrated play on the traffic jam scenario, with a delicious cast of kooky characters and loads of quirky visuals and onomatopoeia for kids to enjoy.